An additional survey for the Nadi flood control project has been signed in Suva between Fiji’s Ministry of Waterways and Japan’s Yachiyo Engineering Company. This follows a feasibility study on the Nadi river basin area by the government of Japan who provided technical assistance in 2014. Officiating the agreement, Attorney General Aiyaz Sayed-Khaiyum says the study has identified six major components that need to be implemented, to reduce future flooding risks. Sayed-Khaiyum says the project will be implemented in three phases. 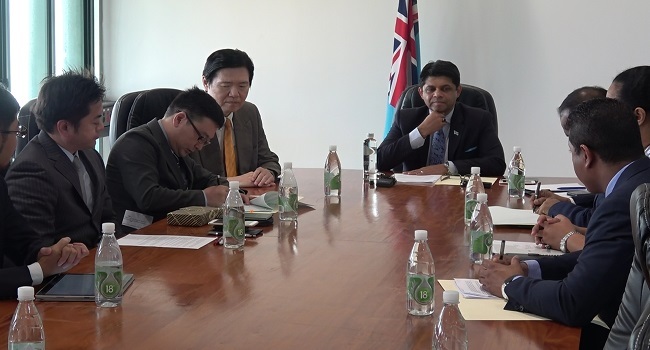 He says the implementation plans have been done in consultation with JICA, the Japanese embassy and ADB, taking into account the consideration by the Japanese government following PM’s request at the Japan-Fiji meeting in May. Meanwhile, the overall project is estimated to cost around $300m-$400m with construction work for Project A expected to begin by 2021.